Sydney is known for nightlife, trails, beaches, parks, and museums. 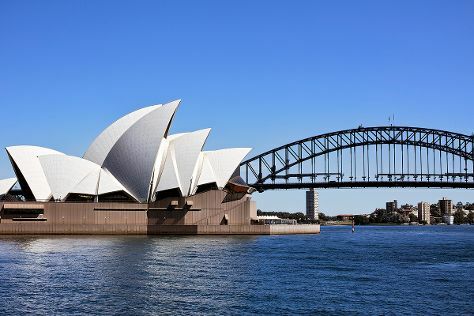 Your plan includes some of its best attractions: don't miss a visit to Sydney Opera House, wander the streets of The Rocks, take in the views from Sydney Harbour Bridge, and take in nature's colorful creations at Royal Botanic Garden Sydney. To find other places to visit, reviews, where to stay, and more tourist information, you can read our Sydney trip itinerary planning website . Manchester, UK to Sydney is an approximately 25-hour flight. You can also do a combination of flight and train. Traveling from Manchester to Sydney, you'll lose 10 hours due to the time zone difference. Traveling from Manchester in December, things will get much warmer in Sydney: highs are around 32°C and lows about 21°C. Wrap up your sightseeing on the 19th (Thu) early enough to travel to Brisbane. Get out of town with these interesting Brisbane side-trips: Oxenford (Warner Bros. Movie World & Wet 'n' Wild Water World), Surfers Paradise (SkyPoint Observation Deck, Infinity Attraction, & more) and Sea World Theme Park (in Main Beach). Pack the 25th (Wed) with family-friendly diversions at Dreamworld. There's much more to do: walk around South Bank Parklands, take in nature's colorful creations at Maleny Botanic Gardens & Bird World, identify plant and animal life at Lone Pine Koala Sanctuary, and take some stellar pictures from Brisbane Botanic Gardens Mt. Coot-tha. 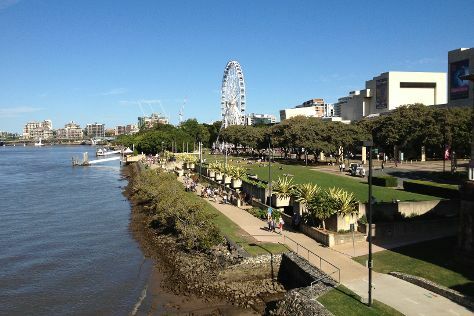 To see other places to visit, ratings, more things to do, and other tourist information, refer to the Brisbane trip planner . Getting from Sydney to Brisbane by flight takes about 4 hours. Other options: do a combination of flight and bus; or drive. In December, plan for daily highs up to 32°C, and evening lows to 23°C. Finish up your sightseeing early on the 30th (Mon) so you can travel to Cairns. Explore Cairns' surroundings by going to Port Douglas (Safaris, Wildlife Habitat Port Douglas, & more) and Palm Cove (Hartley's Crocodile Adventures & Palm Cove Beach). Spend the 30th (Mon) among aquatic life with a scuba or snorkeling tour. There's still lots to do: trek along Esplanade Boardwalk and have fun at Esplanade Lagoon Pool. For other places to visit, more things to do, and more tourist information, refer to the Cairns trip tool . Fly from Brisbane to Cairns in 5.5 hours. Alternatively, you can do a combination of bus and flight; or drive. Expect a bit warmer weather when traveling from Brisbane in December: highs in Cairns hover around 36°C, while lows dip to 26°C. Finish your sightseeing early on the 3rd (Fri) so you can travel to Melbourne. Melbourne is known for museums, shopping, parks, zoos & aquariums, and nightlife. 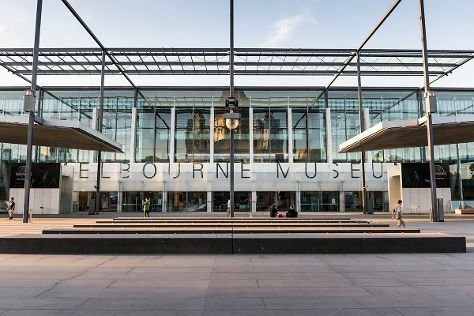 Your plan includes some of its best attractions: take in nature's colorful creations at Royal Botanic Gardens, get lost in a book at State Library of Victoria, indulge your taste buds at Food & Drink, and examine the collection at Melbourne Museum. To find where to stay, photos, ratings, and other tourist information, you can read our Melbourne road trip app . You can fly from Cairns to Melbourne in 6 hours. Alternatively, you can drive; or take a train. Expect slightly colder temperatures when traveling from Cairns in January; daily highs in Melbourne reach 32°C and lows reach 17°C. Wrap up your sightseeing on the 6th (Mon) to allow time to travel back home.